My great librarian friend Marissa Lieberman is holding an anime and comic convention at her library in New Jersey in June. I am pleased that I had the chance to talk to her about her event and what goes into planning a comic- con at a library. Leigh: Can you tell us a little bit about Tosho Con and how you came up with the idea for Tosho-con? Marissa: Tosho-con is a free, full day library anime and comic convention. I first became entranced by the world of anime and manga when I was twelve-years old. While working in my first library job, a page position at a library in Nassau County, New York, I was fortunate enough to be given the opportunity to start a young adult anime club. It was with those teens that I planned the first library anime convention in the county, running strong from 2010-2012. My goal was to create a safe space for anime fans to gather and interact in a way that mimics larger anime conventions, with panels, crafts, cosplay contests, screenings, drawing workshops, an artist alley and special guests. Conventions can be costly and may be difficult for some people to attend. Likewise, people who attend cons are not typically involved with the planning aspect of it. Library conventions fill these gaps. After a three year hiatus, Tosho-con is being revived at the East Orange Public Library in New Jersey on Saturday, June 20th, 2015, and has expanded to include American comic, science fiction and fantasy programming. All are welcome to attend. Leigh: Where does the name “Tosho-Con” come from? Marissa: Tosho-con is a play on words, taken from the Japanese toshokan (図書館), meaning library. Leigh: What exactly goes into planning an Anime and Comic Con? 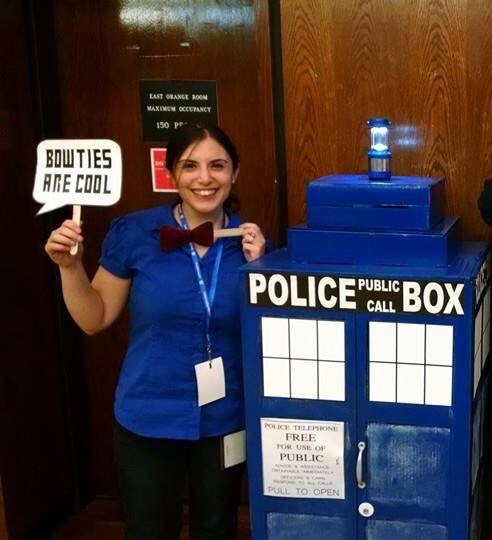 Marissa: Having an anime and comic convention at your library is extremely rewarding, especially when it all comes together and you can see and feel the energy around you as your library is transformed into an epicenter for “geek” culture. As with any large-scale library program there is a lot of planning involved. The convention set-up typically has multiple events going on in different places throughout the day. I always think of the planning process as having two levels: micro and macro. On the micro level, each individual program needs to be planned. I think it is important to have at least one “special guest,” an industry professional–artist, author, voice actor, musician–who will generate buzz. I have found that most industry professionals are willing to negotiate fees for library events. On the macro level, you have to consider how the programs will fit together, scheduling them so that programs in the same time block cater to different target audiences. Marketing the event, partnering with local comic shops, and collaborating with community departments are all great ways to expand your event and reach people you may not have otherwise reached. Leigh: What are some of the challenges for planning an Anime and Comic Con? Marissa: The possibilities for programming at conventions are limitless, especially now that Tosho-con has expanded from just anime and manga to all different fandoms. For me, there is always the challenge of choosing what programs to focus on developing–which will be the best fit for our space, budget and convention attendees. It is hard to not want to do everything, but since convention will be an annual event, there will always be a chance to try out new ideas in the coming years. Leigh: What are looking forward to the most at Tosho-Con? What do you think will be a big hit? Marissa: The East Orange Public Library Tosho-con planning committee (Lina Belkewitch, Nathalia Bermudez, Emily Crowell, Lisa O’Shaughnessy, Sabrina Sermons and myself) have been hard at work planning fun and diverse programs, such as Paper Cosplay Contest, a TARDIS room, tabletop gaming, Comics 101, and organizing our Artist Alley. We also have a great line-up of special guests, including an anime voice actress, a samurai sword performance, a special effects make-up artist, and a group of talented female artists who will be discussing diversity in comics. Whether people come for the panels, the artists, the vendors, the cosplay contest or just to talk about their favorite fandoms with friends, I am most excited to see fans of anime, manga, science fiction, fantasy, horror and all things “geeky” come together in our library and celebrate their interests. Leigh: What advice can you give our readers who are planning a Con at their own libraries or who would like to do something like this in the future? Marissa: Conventions can be planned on any scale and with any budget. If you are thinking about creating a library anime and comic convention, there is a wealth of online and print resources available that will give you background information (you do not have to be an anime or comic fan to plan a convention!) and programming ideas. Recruit your knowledgeable children, teen and adult patrons to volunteer at the convention and ask their advice along the way. Check with your local comic book shop and email major comic distributors for prize donations. Lastly, be your own advocate; keep library staff in the loop and enthusiastically talk up the convention wherever you go. Be prepared to have a brief “elevator speech” memorized about what it is you are planning, especially for those who are unfamiliar with anime, manga and graphic novels, and why pop culture programs are necessary for the library to have. 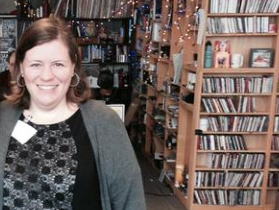 Marissa Lieberman is a children’s librarian at the East Orange Public Library. 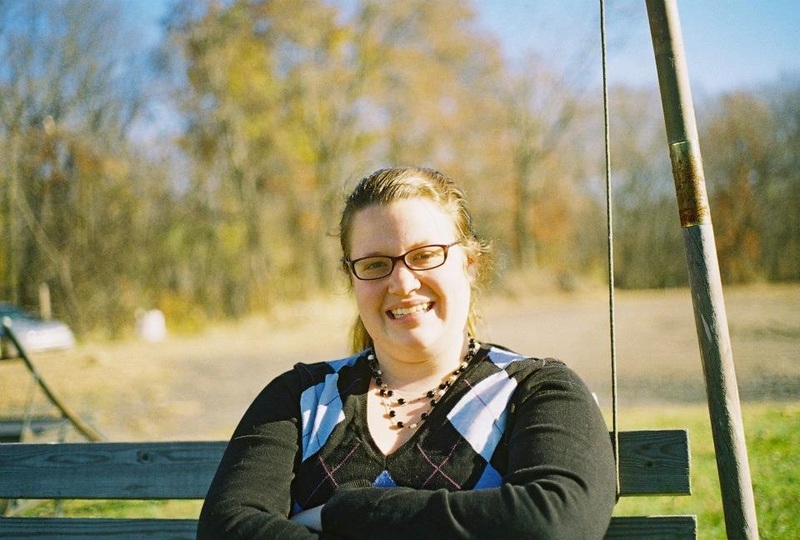 She received her Master’s in Library Science in 2011. She worked at multiple libraries in the Nassau County and New York library system before relocating to New Jersey. An anime fan of fifteen years, Marissa is grateful to be able to share this passion with library patrons by running the tween anime club and planning Tosho-con, a full day anime and comic convention. She reviews books for School Library Journal, Voices of Youth Advocates, and No Flying, No Tights. She is a contributor for Cosplay, Comics and Geek Culture in Libraries, and has presented at New York Comic Con and professional development programs. Visit her website http://mangatizeyourlibrary.webs.com/ for more anime programming tips.